TOBACCOVILLE, NC - The dog days of summer are slowly giving way to what will soon be autumn. This summer has been very hot here in North Carolina, and I have unfortunately been unable to go on very many photography adventures. Of course, that did not stop me completely (never does). I did go out a few times this summer, when I got a break in the weather, and so the photographs in this newsletter come from those trips. I have two exciting prospects for the month of September. The first, is a new project called "Songbirds in Flight." This project will involve, hopefully, spectacular images we don't often get to see of northern cardinals, chickadees, sparrows, wrens, woodpeckers and the occasional Titmouse actually frozen in mid-air. Often we see these birds as static images, perched on branches. This project will bring us all a little closer to the world in which they live. The next big event happening this September is "Hawk Watch." For those that don't know, every year, large numbers of hawks, ospreys and falcons make there way from Canada to as far south as South America in a massive migration. This is an annual event that anyone can participate in. 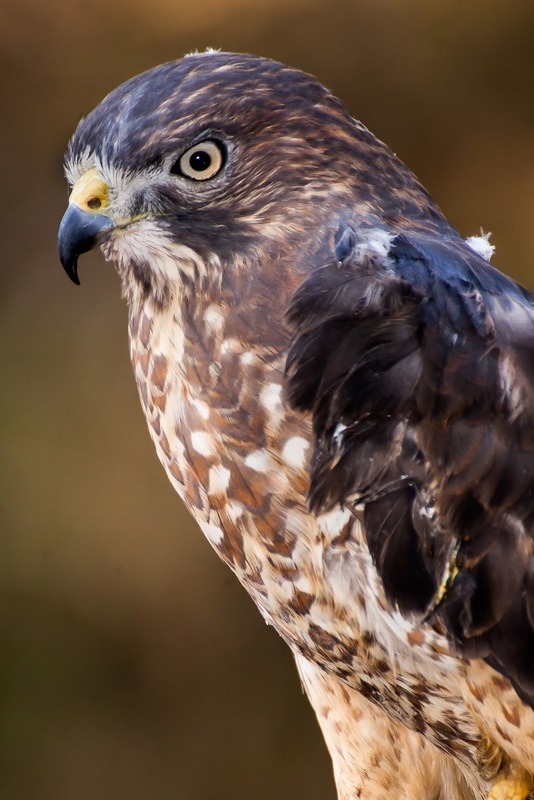 Contact your local Audubon branch, state park system or check out maps at the Hawk Migration Association. Although this event rarely produced great photographs, it is a good opportunity to meet others and participate in something to help scientists track and number these migrants. If you have yet to listen to the Matt Cuda Photography Podcast, I encourage you to go check it out. Here you can get to know me better and get some behind the scenes insights into my photography and how I make the shots. If you know someone interested in nature photography, please forward them this email so they can sign up for this newsletter and listen to the podcast. Only through great folks like you, can we get the word out about all I can offer in both images and training opportunities. 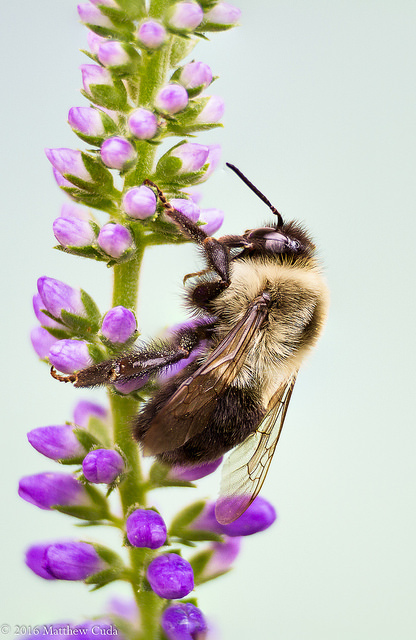 TOBACCOVILLE, NC - A bumblebee gathering nectar from these beautiful flowers. The summer is a great time to photograph insects and spiders. HANGING ROCK STATE PARK, NC - Beautiful morning light illuminates these two fungi growing in a soft bed of moss. 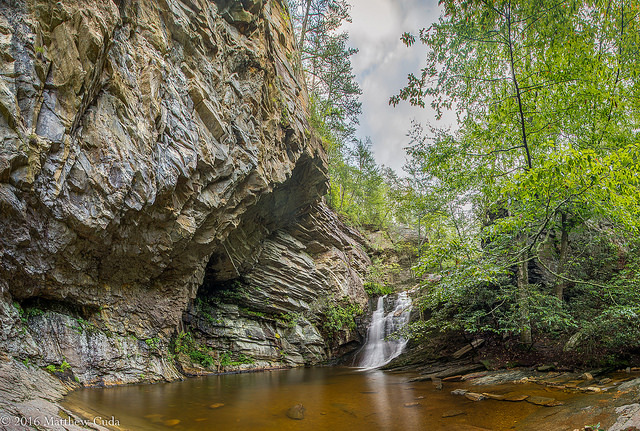 HANGING ROCK STATE PARK, NC - Lower Cascades: This images uses and advanced technique combining both HDR and panoramic stitching to produce an image which shows tones from the brightest whites to the blackest black. The result is an image which emphasizes the massive rock walls near this waterfall. 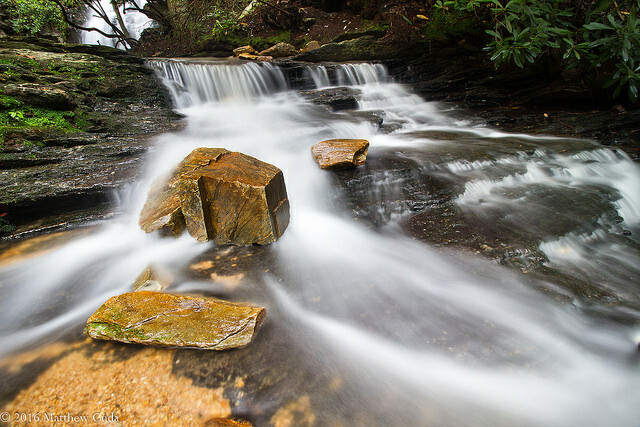 HANGING ROCK STATE PARK, NC - A small cascade running just downstream from Lower Cascades. OK, so this is just my thoughts on the initial specs of the newly released Canon EOS 5D Mark IV. Without one in my possession, I cannot make any definitive reviews, but I can do a bit of armchair quarterbacking. If Canon would like to send me one to test, I would be more than happy to let you know how I actually feel about this camera, but I don't think there is much chance of that. Chances are, you are a wildlife or nature photographer as you probably wouldn't be reading my blog if you are not. This pre-review is based totally on my perspective as wildlife and nature photographer and based on my twenty years experience as a photographer. 30.4 Megapixel Full Frame CMOS Sensor - What I see here is honestly quite a big leap in resolution over the Mark III. Although you can take great images with resolution down to 8 megapixels, the more resolution that your sensor supports, the easier it is to have more cropping options in post production. You will be able to crop those birds in flight much easier with this sensor. Essentially it gives us a digital zoom. 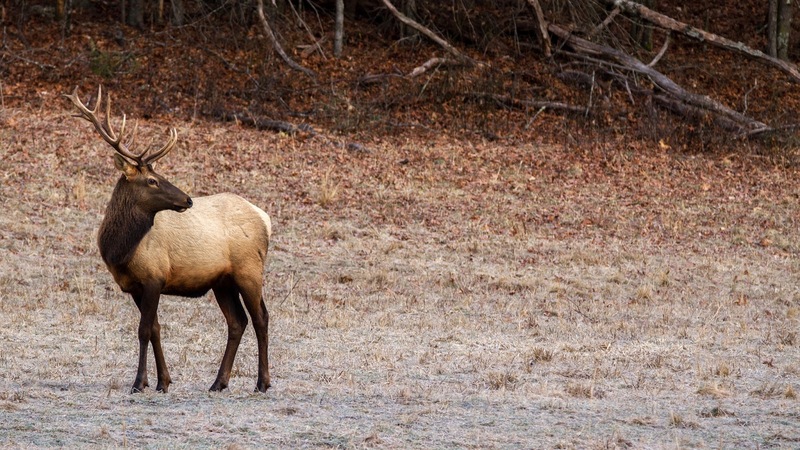 I give this feature a thumbs up for wildlife photographers. 3.2" 1.62m-Dot Touchscreen LCD Monitor - Finally, the touchscreen monitor is making its way across the entire Canon lineup. This I see as a welcome feature for any photographer, so yeah, thumbs up on this. 7 fps for up to 21 frames in Raw Format Continuous Shooting - We pick up another frame per second on this Camera compared to its predecessor. The Mark IV is now able to effectively play in the birds in flight space. I would have liked to have seen it go to 8 frames per second as this is my personal cut-off for getting the best wing positions, but still a welcome attempt. I give this a reluctant thumbs up for the effort. I feel like they could have taken it to 8fps. 4K Video Recording M-JPEG up to 30 Frames per Second - I have to be honest, I am not a big video/cinema guy, but this is certainly a welcome upgrade and I think one that Canon had to make to compete with Sony. I give this feature a thumbs up. ISO 100-32000 (Expandable 50-102400) - Here we see another incremental change in the ISO tolerances of the Mark IV. I think this was expected and will offer the wildlife photographer better opportunities in lower light conditions to capture better running and flight shots. I give this is a thumbs up, but a tentative thumbs up. Less than 1 stop added here. Dual Pixel RAW - I think this is one of the most compelling upgrades to this camera. Essentially this feature, when enabled, takes two 30 megapixel images at two different pixels allowing the photographer to select a slightly different focus shift. I see this as a huge help when shooting in controlled conditions such as captive animals and special events. The ability to correct focus slightly when shooting raptor portraits, for example, could make the difference between an out of focus shot and a keeper. Time will tell whether this feature actually works well or not. I can also see this as a great benefit to macro, hand held, shooting. It can be a real challenge to get a sharp shot using this technique. Bear in mind that the frame rate decreases when using this feature. You can no longer shoot at 7fps. 61 AF Points with 41 Cross Type - Yep, more points means more coverage for placement of the focus point on the subject. Another incremental change that was expected and welcome. I give this feature a thumbs up. AF possible with all 61 AF Points at f8 - Another great feature for the wildlife photographer. With most of the newer Canon cameras I can now add a 1.4x teleconverter to my 5.6 lenses and still use autofocus on any point. 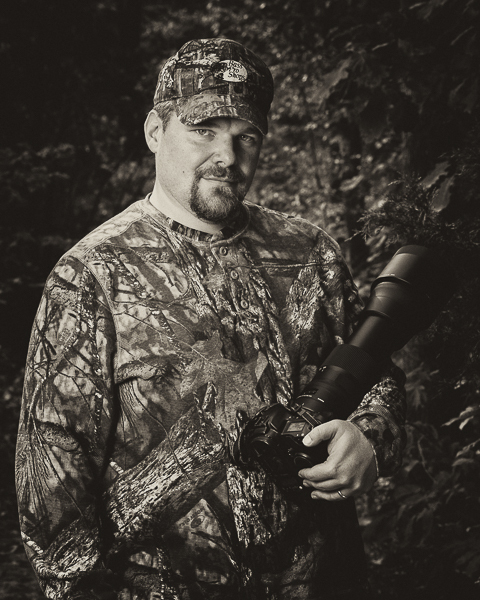 This is a huge advantage when shooting skittish animals that require the extra reach. I see this as even more important on a full frame sensor because we will no doubt have the teleconverter in use more often. I give this feature a big thumbs up! 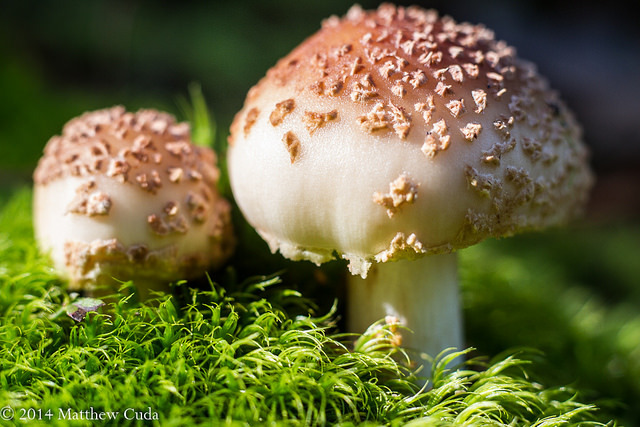 The Canon 5D Mark IV is a serious contender for the nature and wildlife photographer who can afford the $3,500 price tag. I am hesitant to compare the camera with it's larger and more robust brother the Canon 1DX II. Some have suggested that it uses the same AF system as the 1DX II. This is the same song and dance we have heard from Canon, and others, every time a new camera comes out. It has been my experience that this simply is not true. The 1 Series has proven time and time again to outperform the midrange cameras in autofocus. If you don't need the video capabilities, I would look at buying a used Canon 1DX. You can pick one of these up for about the same price used and will have the peace of mind that you are buying Canon's top of the line camera. You will never wonder if you could have done better. Time will tell as to whether this camera will meet all the needs of the serious nature and wildlife photographer. If you are a landscape or macro photographer, I think this camera is hard to beat. The large sensor will give you great details for making larger prints, and will help in bringing out the subtleties in your scenics. Honestly though, the Canon 5Dsr will probably give you more bang for your buck in this space. What I am really excited about is not the Canon 5D Mark IV per say, but rather, whenever a new Canon camera comes out, the older models, on the used market, drop their prices. This makes the used market a great way to pick up an older camera at a fraction of the price it once was. 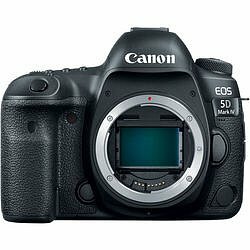 If you would like to purchase the Canon 5D Mark IV, please use my affiliate links below. It doesn't cost you any extra, but will help fund this website so I can provide you with the best reviews and content. Before you get all excited about going to an Atlanta Hawk's game, let me stop you right now. Sorry, but I am talking about the real hawks! Next month, September 2016, we are going to have a huge north to south migration in North America. How Can you View Them? Fortunately, much of the work has already been done for us to figure out where to go and folks have even built platforms to view the hawks as they migrate. 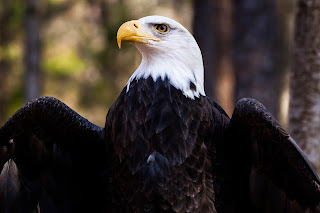 On the east coast, one of the most famous areas to view hawks is at Hawk Mountain, but watching locations exist throughout the United States. 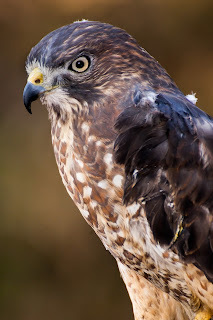 Here in the Piedmont of North Carolina, we go to a location called Pilot Mountain State Park to count and view the hawks as they come through. How Can I Photograph Them? Well, this is hit and miss really unless you want to use an owl decoy (often looked down on). You can sometimes get photographs of large formations of hawks soaring above your viewing platform. Look for opportunities for sweeping images of hawk silhouettes or even detailed flock shots. You may also from time to time see a hawk perched nearby, but this is hit or miss again. The real value, I think, is getting to get out of the house and talk to others and experience the migration with like minded individuals. In other words it is more of a meet and greet event vs a photography only event. If you do decide to try and photograph the hawks, consider morning and evening to try to capture the silhouettes and these times give you much less harsh lighting. Bring a long lens. Preferably something in the 500 to 600 mm range and just wait it out. If you want to come and chat with me, I will be at Pilot Mountain State Park one or two Saturdays. Email me at mattcuda@gmail.com to find out more specific times I will be going. See you there! I must say that first, I can't take the credit for the inspiration of this blog entry, but I can tell you this is something I have thought about many times and even mentioned in a podcast episode not too long ago. While reading Scott Bourne's book "72 Essays on Photography", he brought home a point which I think bears repeating. His point in one of his essays entitled "Photographic Religions: The Religion of Low Light", is that low light doesn't mean good light. From my perspective, we as photographers are always looking for good light. A camera capable of handling higher ISOs with less noise and better image quality is at best a double edged sword in my estimation. Let's look at what it means to take a photograph in low light. Taking a camera in flat, low light is pretty much going to give your wildlife images a fairly boring look. I say this, because blue light is bad light for birds feathers, and animal's fur and hair. As soon as the sun crests the horizon, now we have some light we can work with. For this light, we really don't need more than 800 ISO. Just about any camera, even my old 1D Mark II, can handle this light. So what's all the buzz about low light? OK, so the sun just over the horizon, and I am shooting with the sun at my back, illuminating the bird. In this scenario, I can shoot at 200-400 ISO with a 5.6 aperture and still be at 1/1000th of a second. This is plenty of light quantity and light quality to make the shot without using ISO 4 billion. No need to shoot at 6400 ISO here. First, I want you to think about this scenario deeply before reading anymore. So what was your conclusion? Well, first we have blue light and probably not even enough light to bring out details in the coat of the elk. So what are you doing shooting the scene? Now for some of you, it could just be a documentary shot and for you, OK, I get your point at wanting more ISO, but if you want to make great images, I don't think you should make the shot here unless the light levels and quality of light are favorable for good lighting. This of course is a judgement call and not all shots are created equal. In my mind, you don't need more gain on your sensor, you need better and stronger light. I am not saying you categorically should never take the shot, but I guarantee you, that it will not make your favorite shots of the year. I often take these types of documentary shots, but they are never my favorite. Note that I had to play around with the shot below quite a bit in LightRoom just to get this good on the lighting. Having a higher ISO would just increase the gain of my sensor, not the quality of light. Now we are talking about something totally different. The sky has become this massive soft box full of soft, beautiful light. 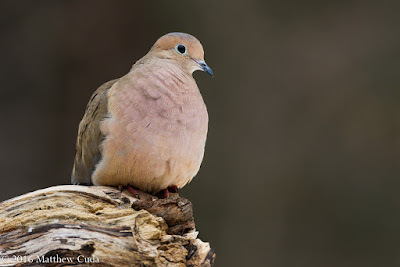 This lighting is something I personally look for in mammal and bird photography. Bear in mind that it is much different from beautiful, directional morning and evening light, but it is great light none the less. Again, I really don't need a big boost in ISO. I can shoot at ISO 400-1600 all day long without any really issues. Honestly, I can shoot lower ISO than that if I am working with stationary subjects or panning. So, in conclusion, in wildlife photography and other types of photography, low light performance might not be much of an issue for you after all. Yes, I have been places where I am using fill flash and need a higher ISO for the ambient portion of the exposure, but this is an exception. And, yes, some genres such as concert photography, astro-photography, and to a lesser degree landscape photography can benefit from better ISO performance, but for the most part, we want good quantity of light and good quality of light for great wildlife photography. Just look at some of the greats like Moose Peterson and Scott Bourne. These guys have been shooting at ISOs around 100-200 for many many years and regularly produce good images. Note that I am not saying you should never buy a camera will great ISO performance, but what I am saying is don't think higher ISO performance is going to make you a great photographer. Great lighting and composition will make you a great photographer.